This project is one that I've wanted to make come to life for quite a while now. This will be a Warrior Cats project, posted to Youtube, where lyrics of popular musical songs (May expand to mainstream songs) will have their lyrics edited to fit the canon Warriors plotline. I have a few songs finished and while I can do SOME singing, I'd much prefer if I had a range of talented singers/VAs to help me bring this project to fruition. 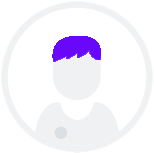 This will be a continuous project, for as long as you can possibly be there to do the project, but it would be preferable if you were availible for a solid few months before you decided to leave the project. If you don't have much time on your hands, it would be better for you to audition for the chorus, where you can come and go as you please. More roles will be added and removed as time goes on and as songs are completed and posted. For now, the lyrics to seven different songs have been completed, and the characters relevant to those songs (Plus the chorus) are what will be posted in the roles section first. The base requirements for this project are a good microphone, a solid singing voice, and time. This will be a project that may not finish for a long while, and I want to keep going for as long as possible. You will also need a Discord account so that all singers and writers may keep in touch with each other. Feel free to email me for questions and other such things. Thank you for your time. I imagine Tigerstar to sound somewhat like Scar from the Lion King when he speaks. Something very smooth and would be used to manipulate others. When he's angry, his voice should be dripping with venom and hate. He's a VERY emotional character at times, though will be composed when he needs to be. that I could have never taught you. But I will teach you much more. 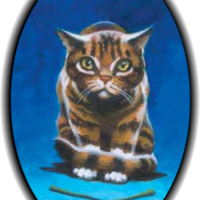 Leafpool is a very gentle cat with a lot of dignity to spare. Her heart is always in the right place, but she can end up making bad decisions because of it. I imagine her to have a very steady voice, with VERY little nasal to it. [A song you feel would fit Leafpool. 1-2 minutes in length. I'd prefer for her vocal range to be from a mezzo-soprano to a soprano. always knew what I had to do, and that's why I came back to the Clan. 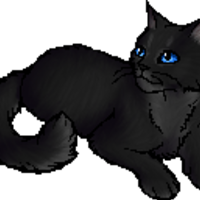 Cinderpelt is a caring cat, but doesn't have any patience for idiocy. She can be quite grumpy but never cruel towards anyone and that tenderness can be allowed to shine at times. with my Clan, but I can't help wanting more." "How do YOU know what I want? 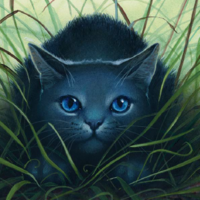 How do you know the what hopes I gave up to follow the path StarClan laid out for me?!" Jagged Peak, in this role, is as he is as a kit. So from Dawn of the Clans 1-3 ish. His attitude is generally quite peppy and energetic as he's a kit, always wanting to try new things as per his curious nature. [A song that you feel would fit Jagged Peak. 1-2 minutes. Preferably in the tenor/alto range. prove myself, you need Gray Wing to tell you what I've done. Will I ever be good enough?" fought off that eagle? You'd have been chickfeed if it wasn't for me!" 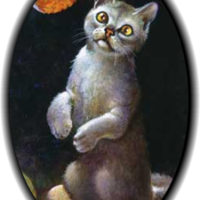 Yellowfang is a character who is somehow more crotechy than her apprentice, Cinderpelt. With little patience, she carries herself with pride and a self assurance in everything she does. [Sing something you feel would fit Yellowfang. Preferably alto range. 1-2 minutes. 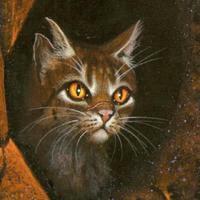 your kits does not mean you have less love for your Clan"
Fireheart is the main character of the original Warriors series. 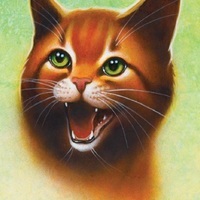 With a strong sense of will and and an unbroken determination, Firestar faces his enemies and hardships without ever backing down. [A song you feel would fit Fireheart. I imagine him as sounding a tad like Dodger from Oliver and Co. but you can definitely try a different angle. without hardship will weaken us more." Graystripe, as of now, only has a small role in these songs but will probably have a larger role later. Feel free to audition for this role if you only intend to stay for a short time with the team. [A song you feel would fit Greystripe. I imagine him to be in the Tenor/baritone range. 1-2 minutes. 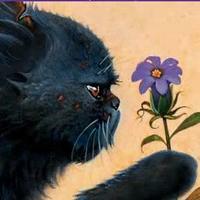 Bluestar is a very tragic character, but she doesn't let that get in the way of getting things done. She's level headed and can be mischeivous when she wants to be. [A song you feel would fit Bluestar. 1-2 minutes. 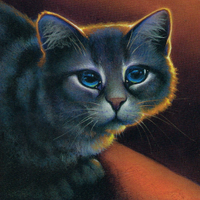 I feel that Bluestar would have an Alto/Mezzo-Soprano range. The chorus will have the smallest part, and haven't got any songs written with them in as of yet. A statement of how long you'd be willing to be in the chorus for. This project IS a labour of love, and it would be much appreciated if I could get fellow lyric writers and proofreaders on the scene to assist me with this. Please email me at [email protected] and I'll get in touch with you.